SpaceX completed a record 18 launches last year, and it plans to do even more this year, according to spokesman James Gleeson. SpaceX began the new year with a mystery-shrouded mission to deliver a government spacecraft, called Zuma, into orbit, the media reported. After more than a month of delays, a SpaceX Falcon 9 rocket vaulted toward the skies at 8 pm on 7 January with the secretive payload. It launched from Cape Canaveral Air Force Station in Florida, reports CNN. The space exploration firm, which is headed by Tesla (TSLA) CEO Elon Musk, had initially scheduled the Zuma mission last November. SpaceX gave a couple reasons for the schedule changes. 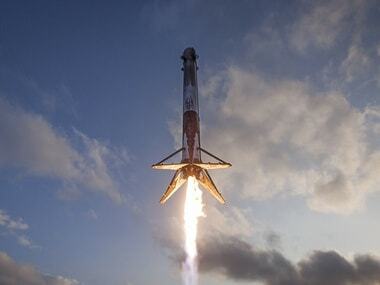 The company said it delayed the mission for "fairing testing". The fairing is the very top portion of the rocket that houses the payload. "Extreme weather" also slowed down the firm's launch preparations. On 7 January, Zuma was delivered to low-Earth orbit, which is typically defined as any orbital path less than about 1,200 miles above the Earth's surface, according to NASA. Zuma's destination was not disclosed, CNN reported. When asked about the project in November, Northrop Grumman (NOC) — the Virginia-based aerospace and defence company that built the spacecraft — declined to give any details about which arm of the government funded it. "The US government assigned Northrop Grumman the responsibility of acquiring launch services for this mission," the company said in a statement. "Northrop Grumman realises this is a monumental responsibility and we have taken great care to ensure the most affordable and lowest risk scenario for Zuma." Later this month, the company plans to debut its latest invention: the Falcon Heavy, a monstrous rocket will have three times the thrust of the Falcon 9.